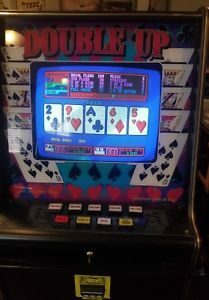 Home » Blog » What are Arcade pokies machines and where to buy them? Pokies players must have come across the term ‘Arcade’ at casinos. 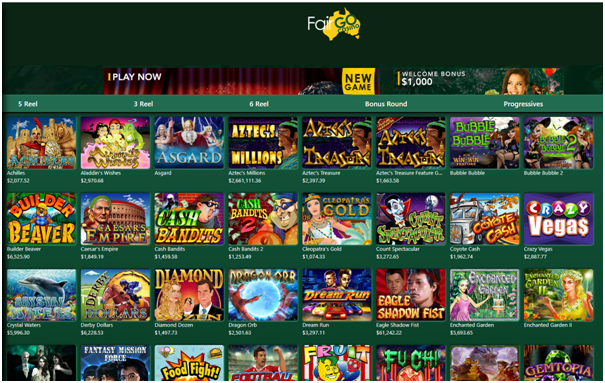 These pokies games can be found at both online and real land based casinos. 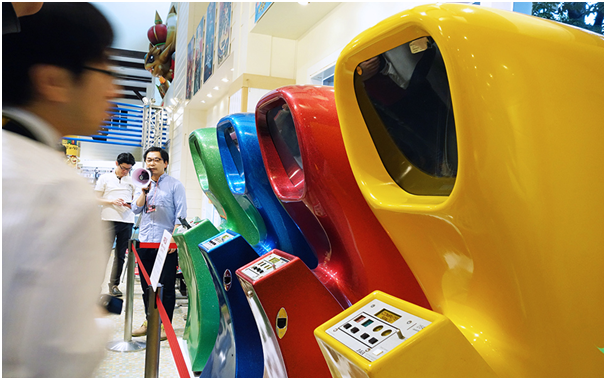 These are coin-operated entertainment machine, usually found in arcades, bars, hotels and other business establishments. 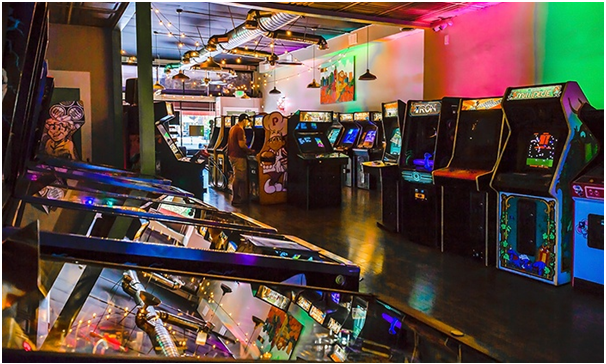 At online gaming environment Arcade games are video games or pinball machines, you can say a type of game genre that is a fast-paced action game for PC or console, requiring hand-eye coordination skill to play. 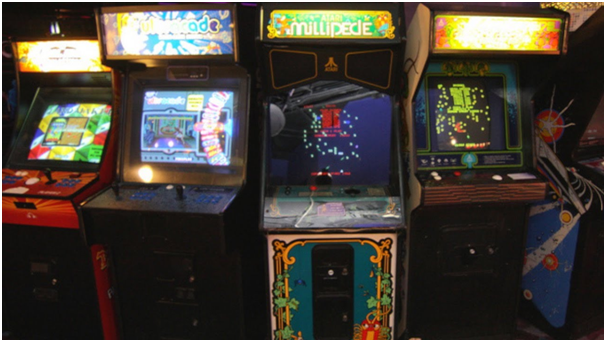 Arcade pokies machines were introduced in the 70’s and in late 1970s through the 1980s was the golden age of the arcade games. Computer Space was the world’s first video game arcade machine followed by Atari and many others. 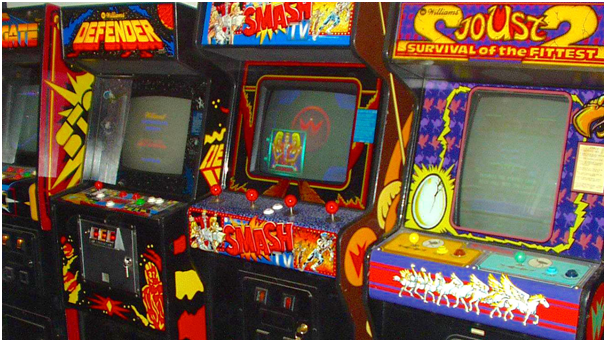 Arcade games enjoyed some relative popularity even during the early 1990s. The popularity of this platform slowly declined, however, as console and PC games came into prominence. A video game arcade cabinet, also known as a video arcade machine or video coin-op, is the housing within which a video arcade game’s hardware resides. Most cabinets designed since the mid-1980s conform to the Japanese Amusement Machine wiring standard. Some include additional connectors for features not included in the standard. There is a monitor on which the game is displayed. They may display either raster or vector graphics raster being most common. Some newer cabinets have monitors that can display high-definition video. Then there are Printed circuit boards (PCB) or arcade system boards, the actual hardware upon which the game runs. Hidden within the cabinet. Some systems, such as the SNK Neo-Geo MVS, use a main board with game carts. Some main boards may hold multiple game carts as well. You need a power supply to provide DC power to the arcade system boards and low voltage lighting for the coin slots and lighted buttons. There is a marquee, a sign above the monitor displaying the game’s title. They are often brightly colored and backlit. Another is bezel, which is the border around the monitor. It may contain instructions or artwork. The control panel is a level surface near the monitor, upon which the game’s controls are arranged. Control panels sometimes have playing instructions. Players often pile their coins or tokens on the control panels of upright and cocktail cabinets. Coin slots, coin returns and the coin box, which allow for the exchange of money or tokens. They are usually below the control panel. Very often, translucent red plastic buttons are placed in between the coin return and the coin slot. When they are pressed, a coin or token that has become jammed in the coin mechanism is returned to the player. In some arcades, the coin slot is replaced with a card reader that reads data from a game card bought from the arcade operator. There are many types of arcade cabinets, some in fact being custom-made for a particular game. Upright cabinets are by far the most common. They are usually made of wood and metal, about six feet or two meters tall, with the control panel set perpendicular to the monitor at slightly above waist level. The monitor is housed inside the cabinet, at approximately eye level. The marquee is above it, and often overhangs it. Controls are most commonly a joystick for as many players as the game allows, plus action buttons and “player” buttons which serve the same purpose as the start button on console gamepads. Trackballs are sometimes used instead of joysticks, especially in games from the early 1980s. Spinners (knobs for turning, also called “paddle controls”) are used to control game elements that move strictly horizontally or vertically, such as the paddles in Arkanoid and Pong. Games such as Robotron: 2084, Smash TV and Battlezone use double joysticks instead of action buttons. Some versions of the original Street Fighter had pressure-sensitive rubber pads instead of buttons. If an upright is housing a driving game, it may have a steering wheel and throttle pedal instead of a joystick and buttons. If the upright is housing a shooting game, it may have light guns attached to the front of the machine, via durable cables. Some arcade machines had the monitor placed at the bottom of the cabinet with a mirror mounted at around 45 degrees above the screen facing the player. This was done to save space, a large CRT monitor would otherwise poke out the back of the cabinet, and possibly to avoid eye strain from looking directly up-close at the monitor. Games are typically for one or two players; however, games such as Gauntlet feature as many as four sets of controls. 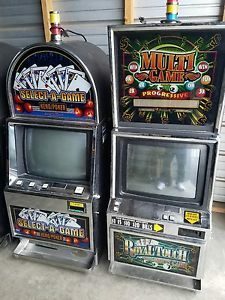 Where to buy Arcade pokies machines? You can look up at ebay or craigslist, gumtree or arcades online to buy one. Generally these machines cost around $1000, but vintage ones can cost up to $3000. If you want you can create your own Arcade pokies machine. For more details as how to create an Arcade game click here. Or click here for step by step guide. Arcade pokies vary from normal online pokies because unlike other casino games you do not have to spin the reels or press a button but rather complete a specific objective in order to see if you have been successful. In the Max Damage and the Alien Attack arcade pokies for example, you would place a bet by shooting the alien ships found in the game. In arcade pokies, you usually have a set amount of lives which you have to use to complete different challenges. In arcade pokies there could also be additional features such as extra bonuses in the form of boosters or upgrades which all help to improve your winnings in the game. 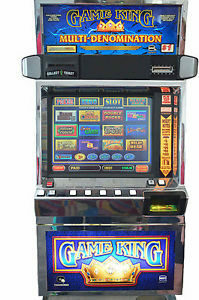 Previous: What is the difference between card and coin operated pokies games? Next: What are Bally pokies machines and where to buy them?